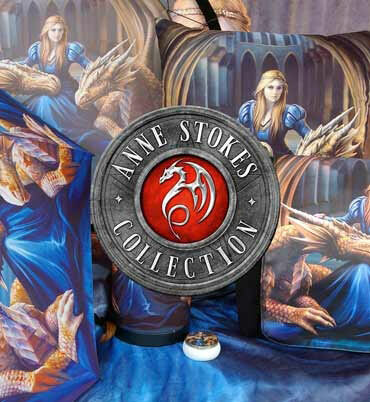 Exclusively available from Nemesis Now, this magical mug comes from the enchanted mind of internationally famous Fantasy artist Anne Stokes. In a magical forest on a moonlit night, a Fairy walks forwards towards you through a ring of mushrooms. Smaller Fairies flit about her as she locks gazes with you, her blue hair flowing down over her shoulders, iridescent rainbow wings unfurled behind her. In front of her she holds a blue Goblet, one hand over it as if she's still casting an incantation. Made from fine bone china, and packaged in a beautiful presentation box, this mug is a fantastic way to add enchantment to any drink.